G.J. 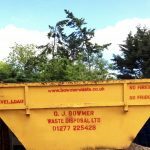 Bowmer (Waste Disposal) Limited is a family run waste disposal company based in Brentwood, Essex. 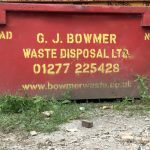 Specialising in local waste disposal and 24 hour nationwide asbestos disposal services; we have been trading since 1979 and no job is too large or too small. We pride ourselves in offering a competitively priced serviced without compromising the level of quality you receive. We guarantee that all our hazardous waste drivers are fully qualified with A.D.R. licences to ensure we abide by the health and safety policy issued by the Environment Agency. We take all the necessary precautions to provide a helpful, friendly, top quality service to all our customers. We may have over 35 years experience in the industry, but this doesn’t mean we are out of touch with today’s technology. We have recently launched our free of charge Customer Login facility. This enables our customers to access a history of previous works carried out by ourselves, copies of consignment notes, weigh bridge documents and invoices. This service is available 24/7, 365 days a year; so no matter what time of day a client is in need of a document they are always just a click away. 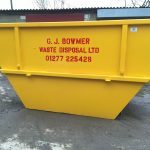 We aim to upload consignment notes and weigh bridge documents within a few hours of the waste being disposed of. As always our customers still receive the original copies of the consignment notes and invoices in the post. All information shown on our Customer Login facility is username and password protected, ensuring only authorised users can gain access. For more information on our Customer Login facility or to enable this feature on your account please click here .